The Long Island and Eastern End of Long Island tick control problem is thriving and skyrocketing every day. The incidents of tick related diseases on the East End and the Hamptons and Montauk has become more and more rampant over the last few years. The reason for this spike is long hard winters causing insulation blankets of snow that keep the ticks from dying and the explosion of more ticks each season as the lack of reduced die off of ticks on your property. We love where we live and work, but we don’t love all the insects here! Insects like ticks are not only annoying, but can be harmful to you and your family. They are able to spread diseases such as West Nile Virus and Lyme Disease, Babesisos and Powassan Virus. These viruses are all associated with horrible long lasting symptoms that will cause long term, drastic and severe health problems. Any and all precautions should be taken to protect our families and our pets in anyways we can. Do you have Tick Problems? Call Alternative Earthcare, (631) 940-9050 we can help. Prevention is the key !!! So when it comes to living on Long Island and enjoying the outdoors, ticks are some of our customers’ main concerns. Of course we would love to be able to sit out in the yard on a beautiful summer day and enjoy a BBQ or party, or just a lazy day in the Long Island sun. It’s a shame that while sun bathing we need to worry about searching our bodies for ticks, or that while watching our children play in our backyards we worry about them contracting Lyme Disease from an infected Deer Tick. We at Alternative Earthcare want to ease that worry and help you to simply enjoy the time spent in your own yard. Deer Ticks are popular across Long Island and can carry a lot of diseases that affect humans, such as Lyme’s Disease, Babesiosis and Powassan Virus. Babesiosis is caused by microscopic parasites that infect red blood cells. Babesia microti is spread by blacklegged ticks or deer ticks (Ixodes scapularis). It mainly occurs in parts of the Northeast and upper Midwest; and it usually peaks during the warm months. Babesosis infection can range in its severity from just some symptoms of sickness to life threatening illness. The infection is both preventable and treatable. Powassan (POW) virus causes a rare but serious disease and is transmitted through the bite of an infected tick. It was first identified in 1958 and named after Powassan, Ontario, the town of its discovery. “Ixodes Cookei” , commonly known as the groundhog tick or woodchuck tick, is primarily responsible for transmitting POW virus. There is some evidence that infection can happen quickly, as soon as 15 minutes after a tick bite. Another type of POW virus is likely spread by deer ticks, also known as black-legged ticks. Alternative Earthcare has the most effective tick control techniques available. We begin with a Tick Survey and a Tick Analysis of your property. 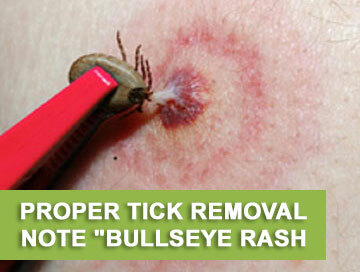 We then design a least toxic spray or non-spray tick prevention and removal program for your property. We use both a liquid spray and non-liquid tick control applications to remove any of the tick problems that exist on your property. With Alternative EarthCare’s services you can be worry free and take back the outdoors for you and your family. The insects will be gone! 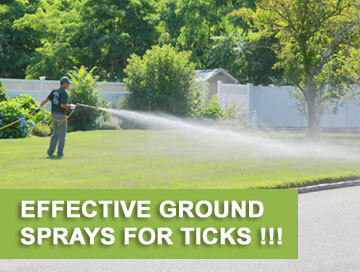 Our Horticulture Sprays are applied every 3-4 weeks for managed insect control of the ticks on your property. 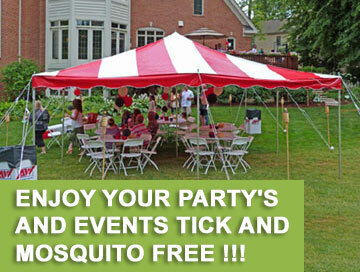 We realize that a big part of Long Island living is enjoying the outdoors during large events or just a backyard party for the family. We can accommodate any timing if our Tick Services to meet your demands for these needs and we can do it on short notice. It is also very important to note that Alternative Earthcare is in your area every day. We have trucks in all of Long Island both Nassau and Suffolk, the Hamptons and Montauk. We have three satellite offices that are local to these areas and can in some cases offer same day service for all your Tick removal needs. This remarkable solution consists of small paper towel roll sized tick tubes. These BIODEGRADABLE cardboard tubes are filled with permethrin treated cotton balls. These tubes are then strategically placed around the property in habitats where the rodents and mice make their nests. These areas consist of ground cover, wood piles, rock walls, under decks, anywhere they would hide or nest. The creatures then bring this great preferred nesting material back to their nests where the treated cotton serves to kill all the infected ticks. The permethrin is released also into the animals fur through natural nesting instincts and serves to kill the ticks on the animal itself as well, preventing a tick infection of disease from the animal. DEER TICKS THAT FEED ON MICE IN SPRING AND LATE SUMMER ARE EXPOSED TO THE PERMETHRIN AND KILLED BEFORE THEY CAN SPREAD LYME DISEASE TO YOU, YOUR FAMILY AND YOUR PETS. 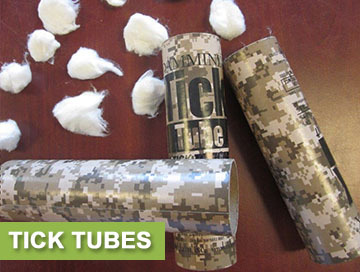 These tick tubes deliver a tick controlling product directly to the host animal and the ticks it infects. This all occurs while; the mice, and other mammals and your property are virtually unharmed. We recommend two treatments per year. The manufacturer has done studies showing a very high level of success. A study in the Pine Barrens in east end of New Yorks Long Island (ground zero for Lyme disease carrying ticks) showed a tenfold reduction of risk of exposure to a tick that could cause Lyme disease. OUR TREATMENTS WORK! 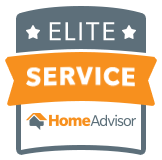 Professional Service, On-time arrival as well as the best techniques and products available that will lead to long term results on your property. Call us at 631-499-4300 for your free property evaluation.